World Forestry Congress — Our design solution for this 600 sq. 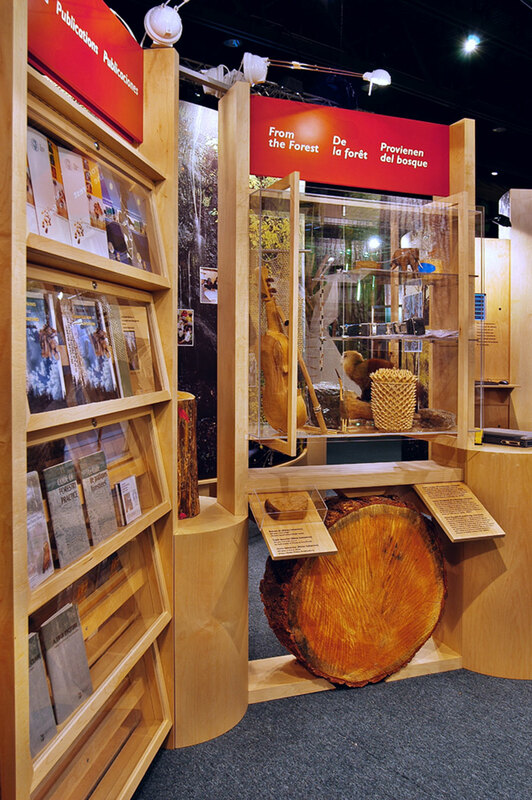 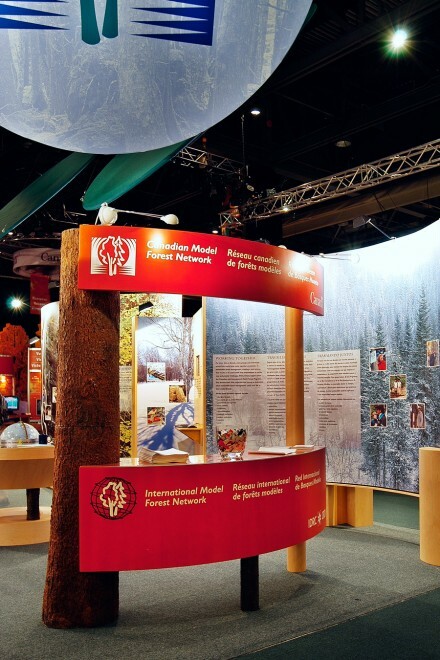 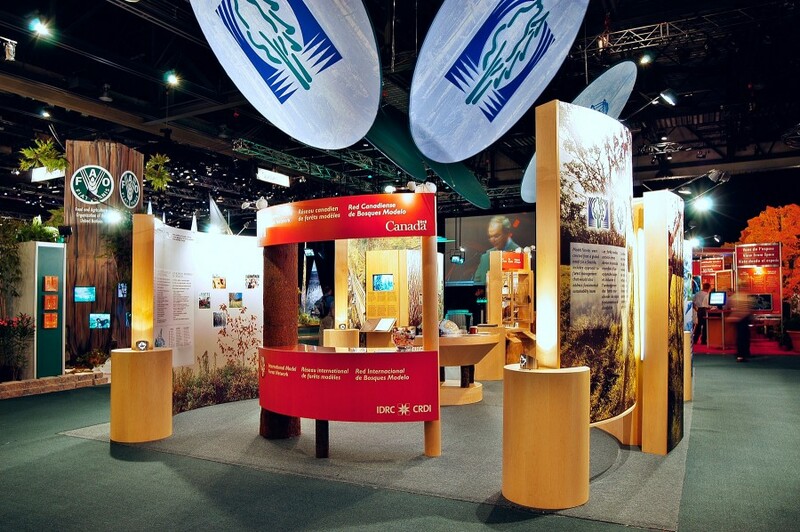 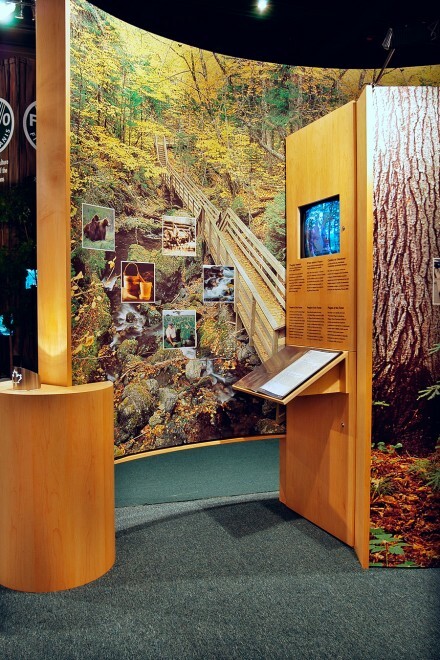 ft exhibit was to incorporate stunning forest images on curved walls with custom cabinetry and interaction areas. 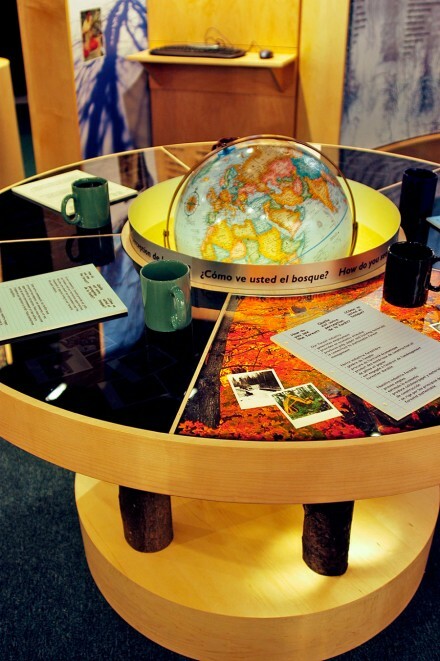 A central “round table” promoted discussions between visitors to the booth.